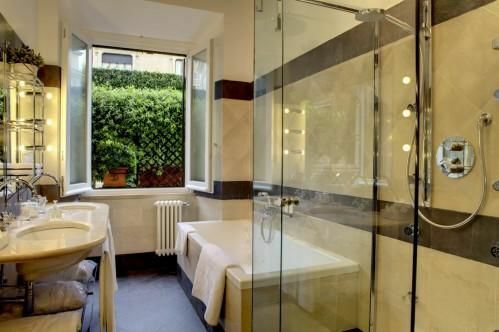 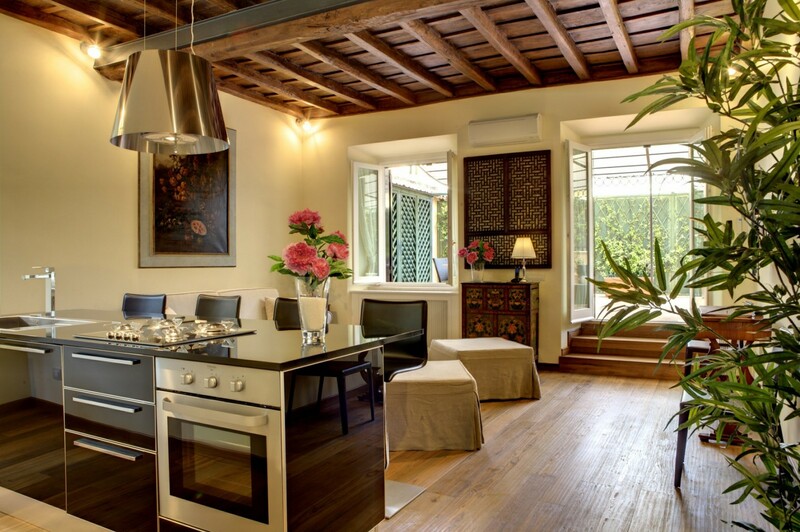 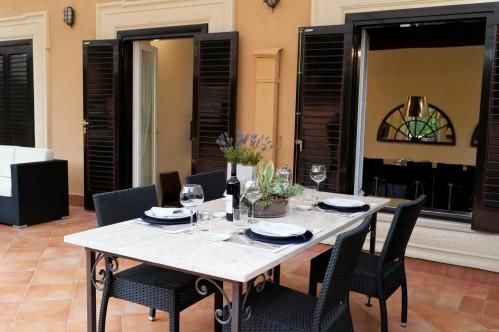 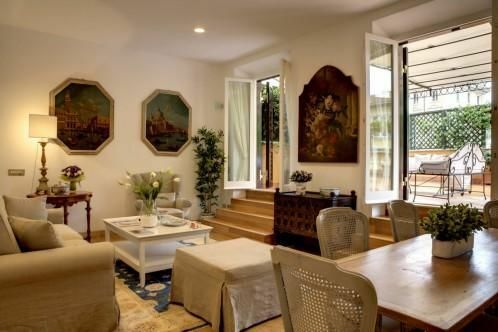 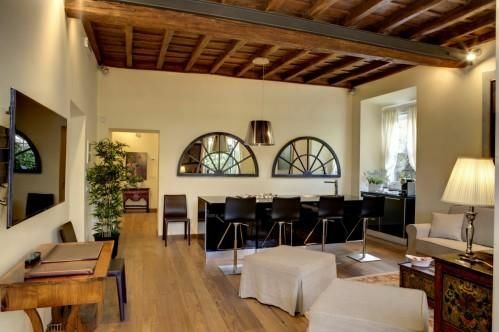 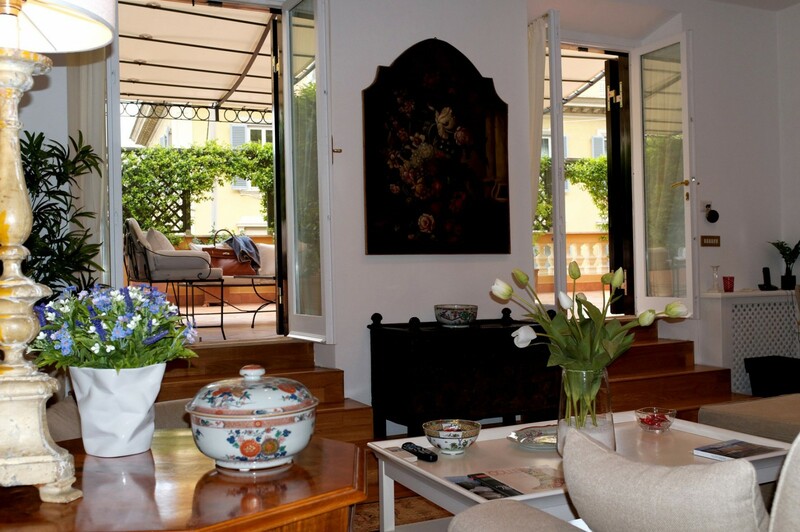 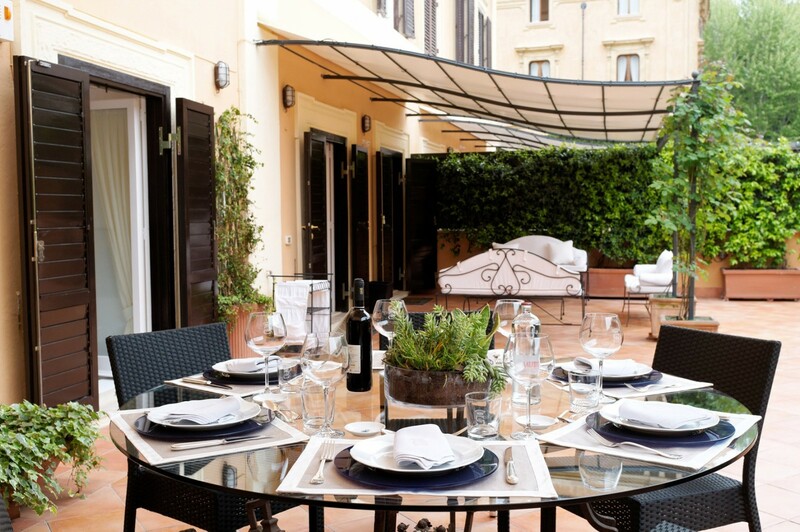 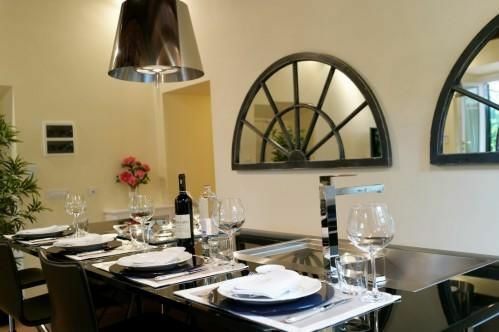 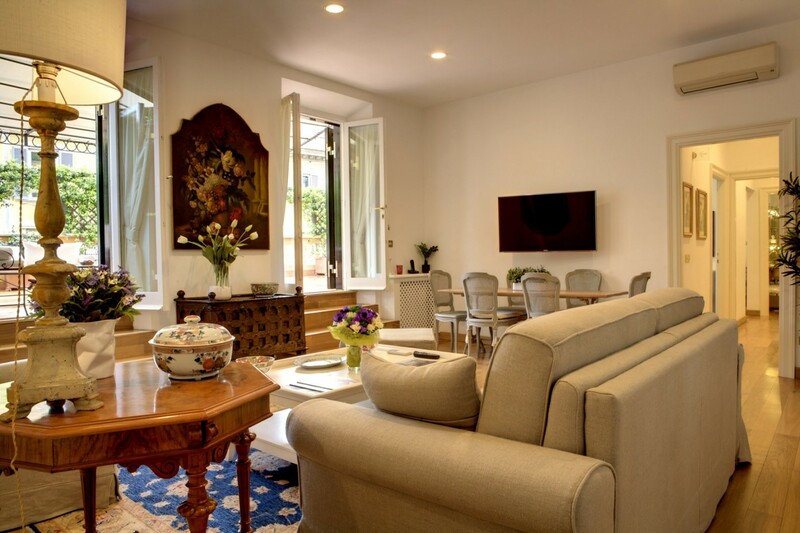 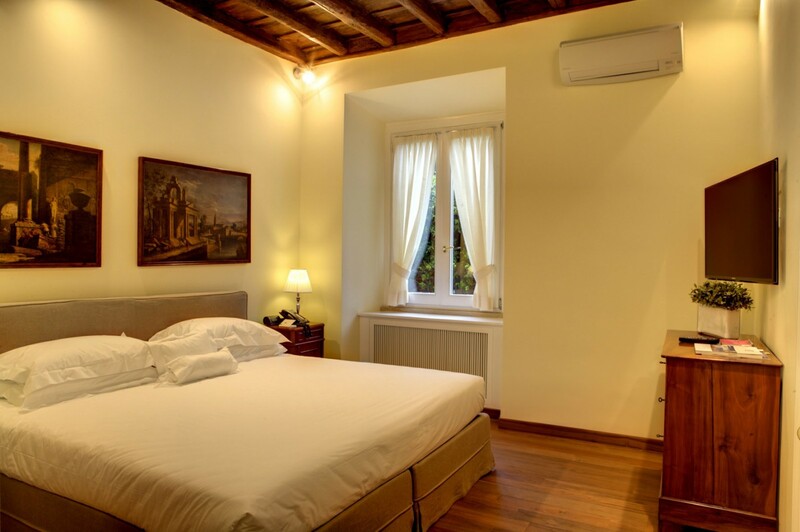 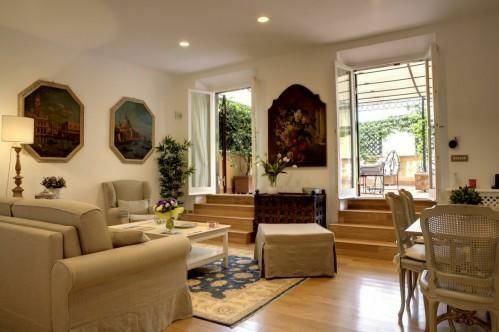 Our two Garden Suites are located in the building across from Villa Spalletti Trivelli, directly connected through the villa's garden. 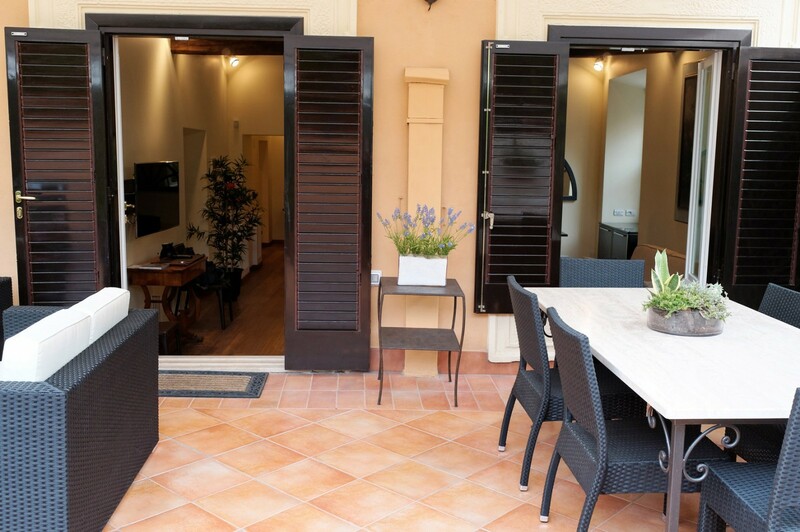 Each apartment measures from 80 to 90 square metres and has a double bedroom, two bathrooms, large sitting room with sofa bed, kitchen and a private terrace with outdoor furniture. 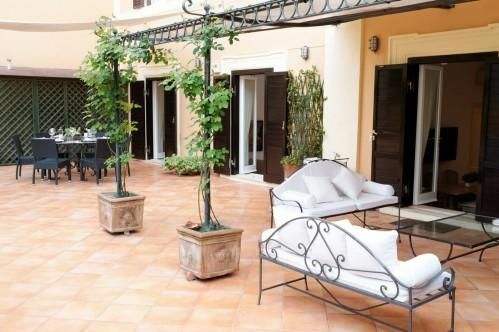 Guests have full access to the villa's amenities, including the buffet breakfast in the Papier Peint Room, the hosted bar in the Arazzi Room and free access to the on-site gym, hammam and Turkish bath. 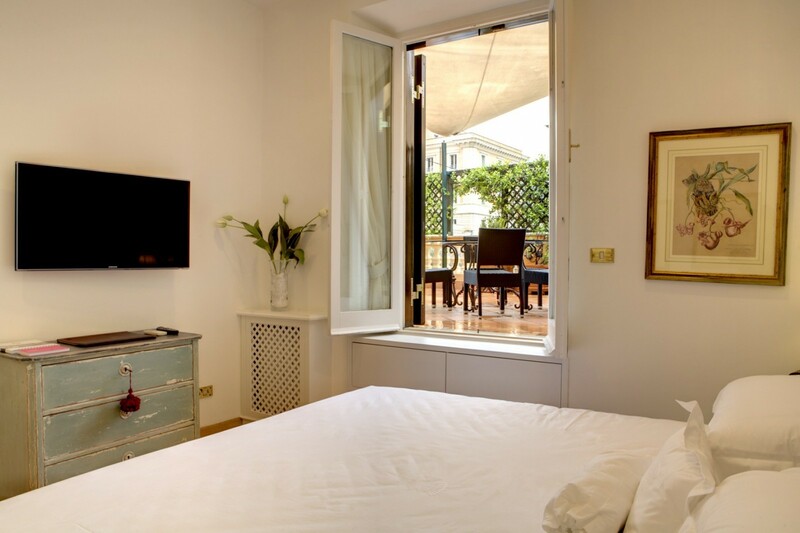 Room service in the apartment is available for an extra charge. 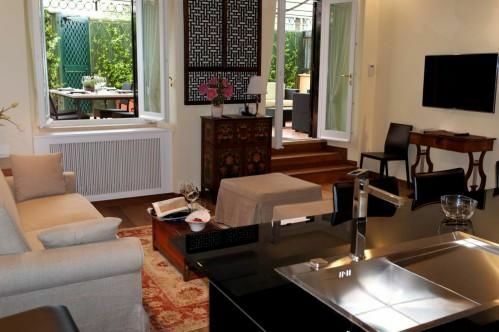 Desk with direct dial telephone. 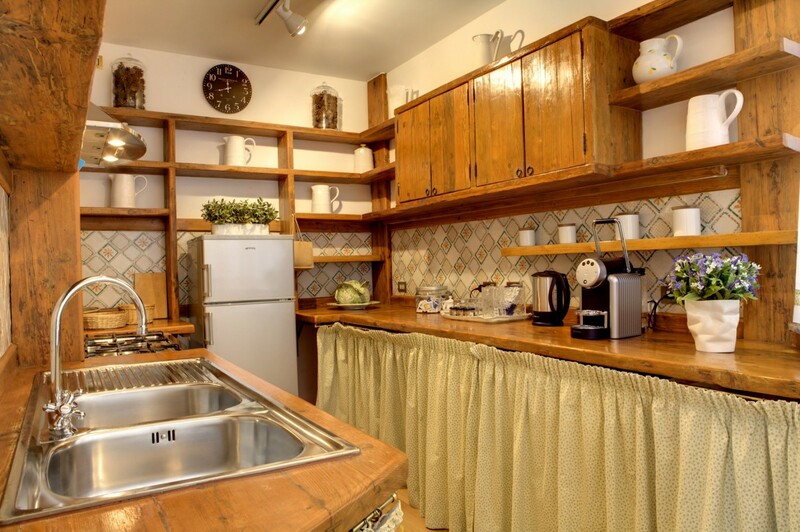 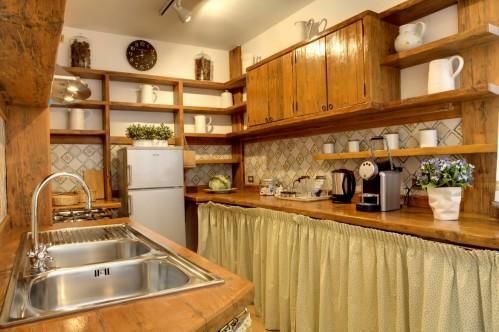 Two telephone lines and a complimentary minibar in the kitchen.